The final buzzer has sounded! 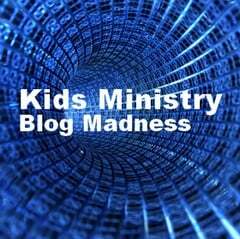 Congratulations to Jared Massey and his blog Small Town Kidmin. He is our 2011 Blog Madness Champion.He captured 55% of the total vote in the final poll. The second round was a thriller and only four bloggers remain. Below you’ll find the final poll to determine our 2011 champion (and iPad 2 winner). This has been a fun contest and everyone has discovered some new websites worth following. The big names have made a strong showing, but everyone is talking about those underdogs who have made this and exciting competition. This final round will close next Saturday 2 April 2011. This round has it all. The big names, the traditional favorites, and some rising stars. Be sure to click-through and subscribe to these excellent blogs. Sam Luce: He was in the final four last year, but needed a round rally to beat upstart Commander Bill. Don’t count out the NY connection. Opening seed was #1 and earned 113 votes in the first round. In the second round he earned 405 votes. Small Town Kidmin: Jared Massey is the Cinderella story of this year’s tournament. His blog was just getting started this time last year. Will the strong underdog appeal be enough to win it all?Anything could happen in the finals. Opening seed was #14 and earned 113 votes in the first round. In the second round he earned 401 votes. Justyn Smith: He worn down Mr. Kidology with a furious last-minute rally, but does he have enough left in the tank to take it all? Opening seed was #5 and earned 81 votes in the first round. In the second round he earned 245 votes. Leader 2 Leader (Jim Wideman): This guy is on anyone’s All-Star team, but can he keep up with the young guns in this final round? Opening seed was #4 and earned 151 votes in the first round. In the second round he earned 213 votes. Tony Kummer (Editor) reviewed & updated this page on : February 27, 2019 at 9:35 pm. All our content is peer reviewed by our readers, simply leave a comment on any post suggest an update.